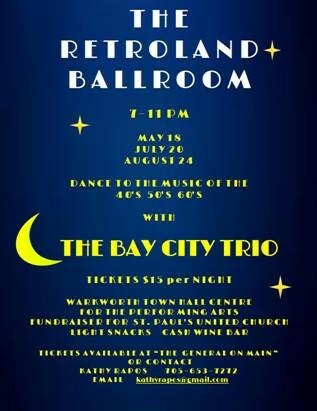 THE RETROLAND BALLROOM - Dance to the music from the 40's, 50's and 60's. The Bay City Trio. Light snacks and a cash wine bar available. Fundraiser for St. Paul's United Church.